During the event of Pearl Jam’s visit to Barcelona we wanted to organize something special, and we thought about setting up a small exhibition where we would display the visits of Pearl Jam mainly to Barcelona, but also to Madrid, San Sebastián, Vitoria and Bilbao. We would like to thank the Center Civic Sagrada Familia that has given us the space to carry out this small project. Taking the poster of Pearl Jam’s first visit to the city of Barcelona designed by Ames Design as an initial reference, we wanted to collect all the posters of artists designated by the band and the posters that the different promoters have used to announce their concerts. 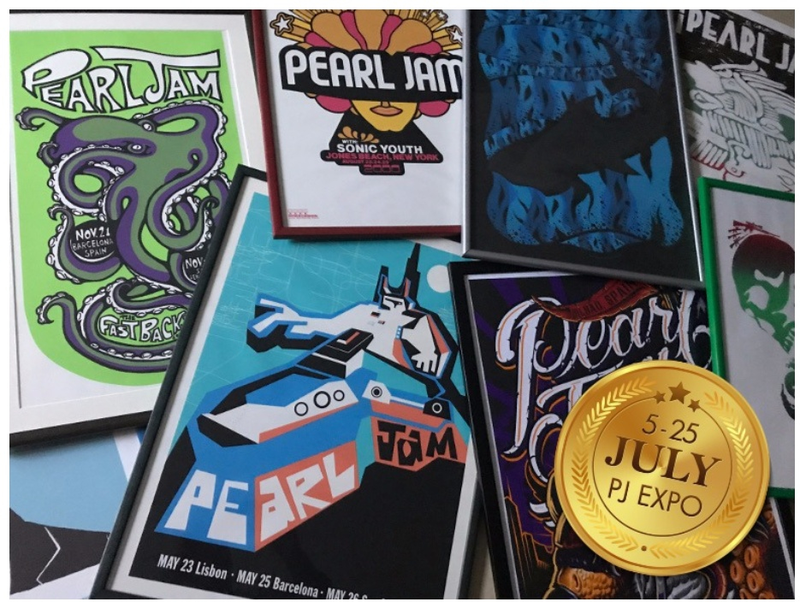 The exhibition is completed with a series of special posters throughout the Seattle band’s 28-year career and objects that the fans themselves have been collecting over time. Guided Tour (Spanish): July 11th 7:00pm. July 5th to 25th 2018. Sala de exposiciones Àlex García. Reminder if you're not in the mood to wait for posters or in town afterward.